Arkansas, Stanford and Murray State may not be teams that fans are accustomed to watching but they—alongside perennial powers Duke, Kentucky and UNC—are among of a group of college teams that NBA junkies should tune in to this season. The wait has gone on long enough: college basketball is back this week, which means the 2019 NBA draft conversation can legitimately begin. So whether you’re a college fan trying to figure out which players are prospects, or an NBA diehard just trying to scout the guys who will factor into the picture in June, we give you a different kind of top 25. We’ll reveal our first Top 60 Big Board of the season on Tuesday. Here, in (extremely) arbitrary order, are the teams you need to care about for the next five months. 25. Murray State: The Racers are probably not going to be on television often enough to be watchable in the extremely literal sense. 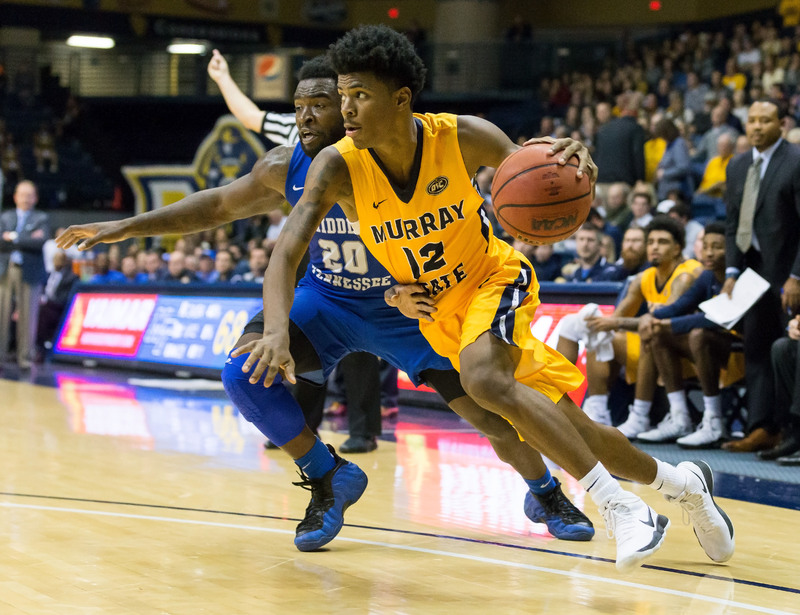 They deserve mention for one reason: sophomore guard Temetrius “Ja” Morant, who generated what is very likely an unfair amount of hype over the summer. An athletic, multi-skilled ball-handler, Morant averaged 12.7 points, 6.5 rebounds and 6.3 assists per game last season while taking just 19% of his team’s shots while on the floor. Those are numbers most college players never scratch, much less an 18-year-old, unheralded true freshman. Morant is a fantastic athlete and has a legitimate chance to be a first-rounder, but has set the bar extremely high for himself. We still don’t know if he can really shoot, or what a full season as an offensive focal point looks like, or if he legitimately could be the first point guard drafted. That, of course, is reason to watch. 24. Stanford: Jerod Haase has quietly done an excellent job assembling talent since taking over the program in 2016. While there might not be a single guy on the roster who ends up in this year’s draft, and even after the departure of Reid Travis, the Cardinal can get one dedicated paragraph as a team that seems ready to take the next step. Sophomores Daejon Davis (a gifted point guard) and KZ Okpala (a big-time athlete) are on the NBA's radar. Another sophomore, German forward Oscar da Silva, has flashed some interesting things. I’m intrigued by all three. If you plan to stay up late and watch the Pac-12 all season, circle a few Stanford games. 23. Nevada: There’s some split opinion as to the legitimacy of the Martin twins as NBA prospects (I’m on the skeptical side). Still, Nevada can be fun to watch, and again brings in a host of transfers in addition to McDonald’s All-American Jordan Brown. Brown has size, some skill and an unflashy, effective game around the basket, though he may not be a viable one-and-done barring a huge year. Caleb Martin scores more points, but Cody’s defensive ability and playmaking skills make him a slightly more intriguing pro prospect. Neither twin was especially impressive at the combine last year and they’re already 23 years old, so this season is pretty pivotal. Jordan Caroline is a fringe energy guy. Still, the Wolfpack should be greater than the sum of their parts, and there’s enough on the roster to make them interesting. Losing Collin Sexton to the NBA means opportunities for a slew of returners, with sophomores Herbert Jones and John Petty both worth watching closely. Jones has the ability to be a defensive dynamo but is still fleshing out his offensive skill set. Petty is a big-time perimeter shooter who struggles with efficiency. There are a handful of other interesting guys on the roster, including freakishly long big man Donta Hall, 6’5” combo guard Dazon Ingram, Texas transfer Tevin Mack and Kira Lewis, a touted recruit who reclassified and will be the youngest player in college hoops this season. They may underachieve again given the inexperience at point guard, but Avery Johnson has another gifted roster to work with. 21. Arkansas: There’s a fair chance the Razorbacks wind up near the bottom of a deep SEC after graduating the plucky, high-scoring backcourt duo of Daryl Macon and Jaylen Barford. But they return 6’11” sophomore center Daniel Gafford, a projected lottery pick who burst onto the scene as a freshman. He dunks, he blocks shots, he moves well and he can almost justify watching the entirety of a 12-minute highlight reel. While it’s true that the bar is generally higher to make it as an NBA center and stick around, Gafford’s athletic makeup and tools set him apart, and he got a whole lot better last season. If you can accept that Jarrett Allen has become a useful second-year player for the Nets, then you understand why the chance to develop Gafford will be worth a first-round selection. 20. Washington: The Huskies are going to be better this season—quietly, they won 21 games in Mike Hopkins’s first year—and two very interesting prospects anchor the team. There’s senior Matisse Thybulle, whose absurd wingspan is a perfect fit atop their zone (his astronomical 5.2% steal rate was fourth-best in the country last season according to KenPom) and profiles well as a future role player as his three-point shooting keeps improving. Sophomore Jaylen Nowell possesses a nice mix of size, athleticism and creativity and can build on a strong freshman season if his jumper comes along. Both players are building NBA interest and bear watching. From a pure watchability standpoint, this is still a 2–3 zone team, but the Huskies come with a little more curiosity than say, Syracuse. 19. Michigan: During John Beilein’s tenure, the Wolverines have earned a reputation as one of the best player development programs in the country, and with Mo Wagner out the door, there are plenty of shots to go around. It’s time for Charles Matthews to put it together after finishing last season strong, and he should have a shot at the second round. Jordan Poole showed some interesting things as a freshman and will ideally take on a bigger scoring role in the backcourt. There’s also some chatter about freshman Ignas Brazdeikis, a Lithuanian-Canadian import who may slide right into Duncan Robinson’s old floor-spacing role. If history means anything, one (or all) of these guys will step up. 18. Mississippi State: Expectations are high for the Bulldogs, another team that gets every key player back and rolls out a bunch of guys the NBA has begun to track closely. This is also a team that could be extremely fun to watch. The most NBA-relevant guy at the moment is 6’10” senior big Aric Holman, who shot upward of 40% from three last season and finished Top 50 nationally in block rate. Scouts want to see him get tougher, but that skill set tends to play, and a breakout season isn’t out of the question. Brothers Quinndary and Nick Weatherspoon share the backcourt with slippery scorer Lamar Peters, all of whom can create shots. McDonald’s All-American Reggie Perry joins Holman and 6’11” shot-blocker Abdul Ado in the frontcourt. As a collection of talent, this team is near the top of the SEC. Results should follow. 17. Iowa State: The talent-laden Cyclones could be a sneaky challenger in the Big 12. Lindell Wigginton is the biggest name and a super athlete who could move into the first-round discussion with more refined guard play. Virginia transfer Marial Shayok is eligible after sitting out a year and should at minimum make a major impact on defense. Nick Weiler-Babb has the type of size and vision as a ball-handler that can lead to opportunities. And there’s NBA buzz about freshman Talen Horton-Tucker, a versatile, athletic wing who’s expected to play an important role. Horton-Tucker is arguably the best long-term prospect on the roster, and may end up as one of the sneakier impact freshmen in the country. I’d wager it’s likely Iowa State wins more than 13 games this season. 16. Western Kentucky: You probably have heard about Charles Bassey, a likely first-rounder who is talented enough to man the middle for any program in the country but decided to play for the Hilltoppers. He should amass big numbers. There’s a difference between being raw and inexperienced, and it’s a misconception that Bassey is the former—his skill level improved quite a bit over the last couple of years, and he may end up surprising people. He has good physical tools and passes the eye test nicely. Although Bassey’s ceiling is not immense based on his role profile, he has the ability to succeed and stick long-term provided his energy and rebounding are consistent. The Nigerian-born center will end up somewhere in the first round, so it’ll be worth getting familiar. There are also two NBA sleepers on this roster: freshman Dalano Banton, a 6’7” point guard, and sophomore wing Josh Anderson. 15. Florida: There’s space for everyone on the Andrew Nembhard train: the freshman standout will be tasked with responsibility out of the gate, and is as college-ready as any point guard in his class. He’s played with wingman for R.J. Barrett at Montverde Academy and with the Canadian national team, and looks like the missing piece for the Gators, who graduated Chris Chiozza but should feel comfortable handing his job over. Nembhard’s game takes a little time to grow on you, but he plays with a quiet confidence and has the size, vision and unselfishness that should easily translate at the next level. Most scouts I’ve spoken to view him as a high floor prospect, which is a good place to start. Sharpshooter Jalen Hudson is back along with a host of other role players. This may be a team that exceeds expectations, and that hinges on Nembhard—if he makes it happen, one-and-done is a possibility. 14. Texas Tech: Zhaire Smith and Keenan Evans are out the door, leaving Jarrett Culver as the Red Raiders’ presumptive star while the program works to sustain positive results under Chris Beard. Culver should be up to task after showcasing potential on both ends as a true freshman, managing a 38% clip from outside as a supporting option. He will have every opportunity to show he can create more offense as a ball-handler this season, and a chance to solidify himself as a first-round prospect. It’s all about learning to be assertive for Culver, and his unflashy game has put him on the map. Also keep an eye on freshman Khavon Moore and JUCO transfer Deshawn Corprew (a former Top 100 recruit who was a non-qualifier at Texas A&M), two long, athletic wings who should have an impact. 13. USC: The secret seems to be out on Kevin Porter. Hailing from an impressive pipeline of Seattle guards, USC’s standout freshman has already built a strong reputation in front offices with his ability to create shots off the dribble. While we all reckon with the hype, Porter should be a must-watch prospect to open the season, and on the shortlist of freshmen who could have a huge impact on the fate of their teams. At risk of getting too excited over a summer mixtape, his is worth watching. The guy is a hooper. With fellow freshman Elijah Weaver out to start the season, Porter should have the green light operating on the perimeter. The Trojans lost Chimezie Metu, Jordan McLaughlin and Elijah Stewart, but may not miss much of a beat if some of their returners step up. Charles O’Bannon Jr., Bennie Boatwright and Shaqquan Aaron bear watching, as well. The Pac-12 is completely up for grabs. 12. Indiana: You almost worry if there will be too much weight on Romeo Langford’s shoulders to open the season, but he’s a good bet to end up in the lottery as long as he stays on an upward trajectory. Based on the landscape of the conference, he has an decent chance to lead the Big Ten in scoring. Langford has a well-developed skill set and appears to have an advanced feel for finding the basket. We’ll find out how consistently he’ll knock down threes and how much he’ll choose to care about defense. Indiana’s rotation should be deeper, led by the underappreciated Juwan Morgan, who could play his way into the second round. Archie Miller has the Hoosiers trending upward, and Langford alone will make them worth a look. 11. Virginia: There is nothing inherently fun about the way Virginia plays basketball; it is plodding and defensive-oriented and well-drilled and low-scoring and gets results. But everyone is curious about De’Andre Hunter, what type of role increase he might have and what sort of offensive development he’ll show. Hunter would have been a first-round pick in last year’s draft thanks to his dynamic defensive potential, but a broken wrist stunted his chance to test the waters. He’s a solid prospect, but from an evaluatory standpoint, I’m hopeful he’ll be put in position to show everything he can do. Hunter will be a starter and see more opportunity—he did lead the team in possession shares last season coming off the bench. Hopefully he’ll take on even more of a perimeter-centric role. Junior guard Ty Jerome has role-player potential, as well. 10. Vanderbilt: The Commodores are headlined by potential first-round picks and five-star recruits Darius Garland and Simi Shittu. Garland is likely to be one of the first guards drafted, and should make Vandy an entertaining watch with his creative playmaking. For what he lacks in flash and elite physical straits, he’s been able to compensate with skill and feel. Don’t expect him to turn in a Trae Young-type season (we might never see that again), but he’ll have every chance to make plays, make mistakes and learn from them. Shittu is set to return after tearing his ACL in January, and as he works back to full strength can re-establish himself as a high-upside prospect. He’s always had an impressive physical profile, and some theoretical versatility with his ability to handle and pass the ball at 6’10”—his health and how Vanderbilt chooses to let him operate will be a key early-season touch point with this group. This group will be heavily scouted all year and should warrant that attention. Sophomore guard Saben Lee has some upside as well. 9. Maryland: It was downright frustrating to watch the Terps underachieve last season, given how much they had to work with. Losing Kevin Huerter to the NBA was a tough hit, but Maryland will again have one of the most talented rosters in the Big Ten. Granted, Mark Turgeon hasn’t always been able to fit the pieces together, and there will again be a heavy reliance on underclassmen. But from a scouting perspective, there’s a lot to see here. The incoming class is led by All-American Jalen Smith, a stretch big with legitimate range. He’ll pair with Bruno Fernando, who scored a combine invite last year, returns as one of the most athletic centers in college hoops, and will supposedly be allowed to showcase his ability to face up and shoot. There’s also NBA interest in sophomore Darryl Morsell and athletic freshman slasher Aaron Wiggins, both wings with size. Another freshman, Eric Ayala, brings a nice mix of shooting and playmaking in a combo guard role. This will hopefully be a tournament team, and may well produce multiple draft picks. 8. LSU: As is the case with many an underclassman-driven team, LSU may be more interesting in theory than in practice. But Will Wade has hauled in a lot of high-end talent and should be able to get them toward the top of the SEC. If the Tigers prove functional, logically, one or two players will emerge from the mix. Slithery sophomore point guard Tremont Waters will presumably lead the team in scoring, although his lack of size raises the bar to convince teams he can make it work at the next level. Skylar Mays was steady last season and has some size and all-around game at the two. The majority of LSU’s intrigue lies with the freshmen. The highest-rated newcomer is 6’10” center Naz Reid, who’s always had a ton of talent, has gotten into better shape and has legitimate inside-out offensive game if he can stay engaged. Forward Emmitt Williams is an impressive athlete with some upside. Ja’Vonte Smart has the size and versatility in the backcourt to fit a valuable NBA archetype if his shooting improves and he’s willing to share the ball. There’s also Darius Days, a long 6’7” forward with some scoring potential. It’s hard to say exactly what the Tigers are going to look like, but they’ll be a legit early-season curiosity at worst. 7. Villanova: What Jay Wright has built at Villanova is as remarkable as it is sustainable. Even after losing four players from their title team to the draft, the Wildcats are rightfully favorites in the Big East. There’s not as much NBA talent here at a glance, but Eric Paschall is ready for his close-up after proving himself to scouts on the summer circuit. The senior forward will have to shoulder more scoring responsibility, but his all-around game should shine if he can stay efficient with additional shot volume. Paschall has sold teams with his effort, versatility and defense, and simply needs to solidify the floor-spacing component of his game. Also keep an eye on Albany transfer Joe Cremo, who averaged 17.8 points last season and shot 45.8% from three. 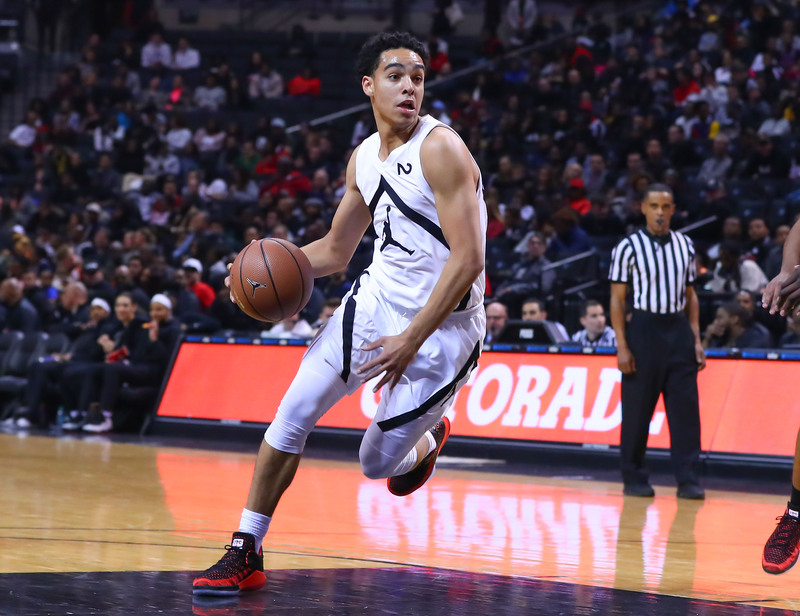 Freshmen Jahvon Quinerly and Cole Swider should also be on the radar long-term. It’s another deep team, one we’ll be seeing a lot of. 6. Oregon: The Ducks as constituted may come with more variance than any other high-major team, and I don’t say that lightly. Trying to project how the pieces fit is a challenge, and this feels like a team that could win 28 games, or 18. The Ducks have to replace three starters, but did come upon an influx of talent. The conversation begins with five-star freshman Bol Bol, and fellow All-American Louis King (who might be their best pro prospect if he’s locked in) is expected to make a big contribution once healthy. Sophomore Kenny Wooten might be the best pure shot-blocker in college basketball, and point guard Payton Pritchard has drawn some T.J. McConnell comparisons that aren’t all that far off. The Ducks have a host of talented underclassmen rounding out the roster. While there seems to be a significant amount of buzz surrounding Bol on the internet, it’s wise to temper expectations somewhat within an NBA context. He has a lot to prove as far as consistent production is concerned, which elements of his game translate toward winning and questions surrounding his attitude have followed him since high school. There’s hope, and he’s still a 7’2” big with some skills, but it’s hard to properly emphasize how vital it will be for Bol to establish some type of footing during his first full season under the pro microscope. Will he rebound and be mobile enough defensively? Can he contribute on offense when not being force-fed touches? Is he a modern center, or a dated style of player in disguise? Bol could be a lottery investment or more of a first-round flier. This will be fascinating. 5. Kansas: The Jayhawks have reloaded, per usual, and as long as the program avoids any of the NCAA fallout surrounding Silvio de Sousa (which would not be a surprise), they should be able to run through the Big 12 again. 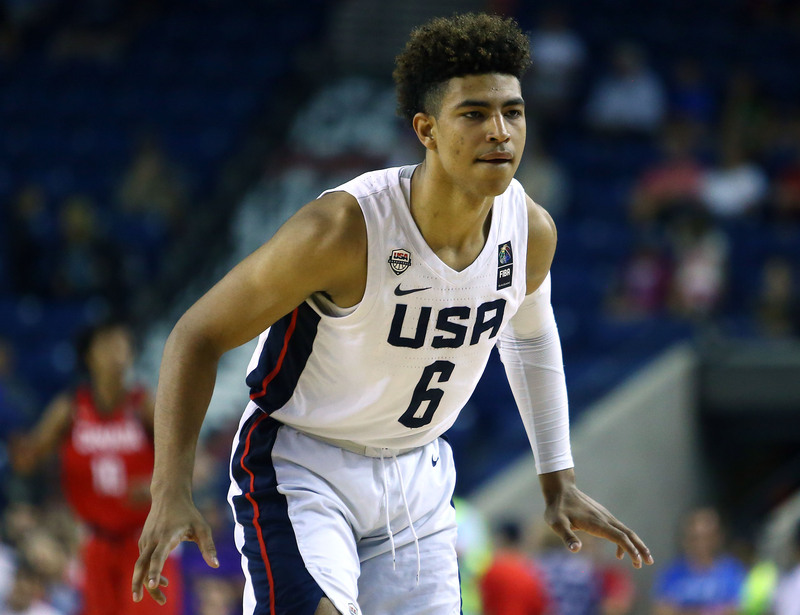 Freshman Quentin Grimes, a skilled athletic combo guard and potential top-10 pick, should be in a great situation to make his one-and-done case. The hope is that he’ll be more aggressive as a scorer and playmaker, and answer some questions about his jumper. Kansas has plenty around him, which takes some of the pressure off. Memphis transfer Dedric Lawson is eligible and will likely lead the team in scoring. NBA teams have questions about his athletic ability, but not his talent. With a strong year, he could be gone as well. Another freshman, Devon Dotson, has some one-and-done upside in a thinner point guard class, but will have to share minutes with talented Cal transfer Charlie Moore. Both are a bit undersized, but I’d expect them to share time in dangerous, smaller three-guard looks next to Grimes. It should be to Kansas’s benefit to use all of its playmakers together. Udoka Azubuike and Lagerald Vick are back with more to prove, and if de Sousa gets eligible, his energy will be a big factor up front. This team should be better than the sum of its parts. It helps that those parts all have pro potential. 4. Gonzaga: Don’t bother with any of the standard mid-major narratives, especially not this year—even with deadeye forward Killian Tillie beginning the season injured, Gonzaga has as much pro-caliber talent as any team West of the Mississippi. Everyone is hoping for a star turn from Rui Hachimura, who’s certainly good enough for an All-American type season if his full offensive skill set finally clicks—there was some sense Gonzaga held him back last season, and that won’t be happening again. It might be that he’s better suited as a smaller four than a three, and Hachimura has the right build for either spot. If he can just hit set three-pointers, everything else will open up. A healthy Tillie is one of the best stretch bigs in college basketball. Fast-improving scorer Zach Norvell came on strong at the end of last season and could play his way into the draft, as well. San Jose State transfer Brandon Clarke, and freshmen Joel Ayayi and Filip Petrusev have all registered with scouts. Playmaker Josh Perkins remains a bit of wildcard, but certainly has the ability to help himself with a steady senior season. The Zags are your reason to stay up late this season (if you can find WCC games on television). 3. North Carolina: It’s been a while since Carolina had to operate directly in Duke’s shadow when it comes to preseason hype, but that’s no reflection on the Tar Heels. Likely top-five pick Nassir Little is Roy Williams’s biggest recruiting coup in years. Little is a potential two-way standout with some similarities to Jaylen Brown at the same stage and belongs in the conversation with Duke’s big three atop the draft. From a pure entertainment value perspective, the rivalry hasn’t been this star-studded in a long time, and Little already plays with a bit of a chip on his shoulder. Those games will be even more must-watch than usual. Another potential one-and-done, Coby White, steps in at point guard to replace Joel Berry. White is more of a score-first player, but has great size in the backcourt and will likely end up as a combo at the NBA level. He has first-round potential, and if Carolina hits its ceiling as a team, it will probably mean White is headed for the draft. Luke Maye will never escape the athleticism questions, but he’s a hell of a college player and at least deserves a shot. Kenny Williams was one of the most underappreciated role guys in college basketball last season, and Cam Johnson figures to earn some looks with his shooting. The ceiling is the roof. 2. Kentucky: This is being touted as one of John Calipari’s best Kentucky teams, and that may be justified—their meeting with Duke on Tuesday night at the Champions Classic will be must-see TV, and the Wildcats boast more depth than usual this season. Per the norm, pretty much every rotation guy on the team is an NBA prospect, many of these guys will be off to the league after the season, and scouts will be in and out of Lexington every week. Freshman Keldon Johnson emerged over the summer as the Wildcats’ best long-term prospect, with a rare competitive edge, solid athletic tools and a willingness to both score and defend. He’s as safe a bet as any to have a long pro career at minimum. Versatile big P.J. Washington returns after looking terrific over the summer, and should be able to convert his production into a first-round spot after testing the waters. Freshman Tyler Herro has impressed with his shooting, handle and polish and will be a primary scoring option. Nick Richards and E.J. Montgomery have intriguing upside up front and Stanford transfer Reid Travis will enjoy a year in the spotlight. The big question comes at point guard, where freshmen Immanuel Quickley and Ashton Hagans will split minutes—either one could have a good enough year to turn pro, but neither is a surefire first-rounder at this stage. It’s not doing any of these players justice to cram them into one short paragraph. 1. Duke: If you scrolled all the way to the bottom of the page to read about Duke, that’s totally understandable. Zion Williamson, R.J. Barrett and Cam Reddish have a legitimate chance to become the first college teammates to go 1-2-3 in the draft come June. You knew this already. Regardless of how you rank those three guys, the Blue Devils will be one of the most fascinating college teams to watch in recent memory—maybe ever, and it’s not all that crazy to say. Since Williamson committed to Duke in January, this has felt like one big experiment, and not in a negative sense. This is three ball-dominant wings learning to play together, managing egos and expectations, sharing one basketball and all fighting for position at the top of the draft. The Blue Devils are committed to playing uptempo, which should make them a nightmare to try and defend given they’ll have the three most athletically gifted players on the court for the majority of the time. Beginning Tuesday night, they’ll operate under the largest possible magnifying glass while trying to chase a championship that they should win, at least on paper. Those are the expectations. Many gifted, freshmen-led teams of years past have fallen flat. The scariest thing is that if egos are checked at the door, this can absolutely work. Williamson is impossible to stop in transition and a better playmaker than he gets credit for. Barrett is the most polished halfcourt scorer of the three, and his aggressiveness should be a tone-setter. Reddish is the most skilled passer and consistent jump shooter and will be able to facilitate to his liking. We got all the way down here without mentioning Tre Jones, who will get a crash-course in floor leadership while learning to pick his spots as a supporting player. You will get tired of reading articles about Duke. You won’t get tired of watching this team evolve.